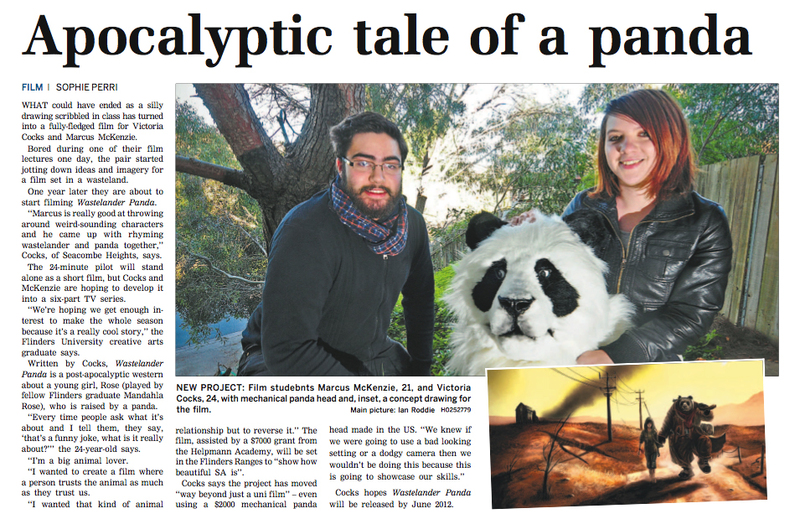 Epic Films, an independent film group operating in Adelaide, South Australia, has released a trailer for a project entitled Wastelander Panda. The pilot for an in-development television series, Wastelander Panda features an anthropomorphic, machete-wielding panda wandering a post-apocalyptic wasteland. The trailer has been likened to a hybrid of "Mad Max, Kung Fu Panda, and The Book of Eli".